At Mozu, we’ve teamed up with a number of innovative sporting goods brands to drive their businesses to success. Whether you’re selling camping gear, scuba supplies, or all of the above, we’ve got a commerce solution that will help you deliver remarkable shopping experiences and grow your business. We know the path to long-term customer loyalty begins with a seamless digital experience. Customers demand clear processes, sophisticated design and high-end functionality on all devices. Mozu delivers responsive sites out-of-the-box, ready-to-run native mobile applications and one central console for managing mobile, desktop and native app customer experiences. 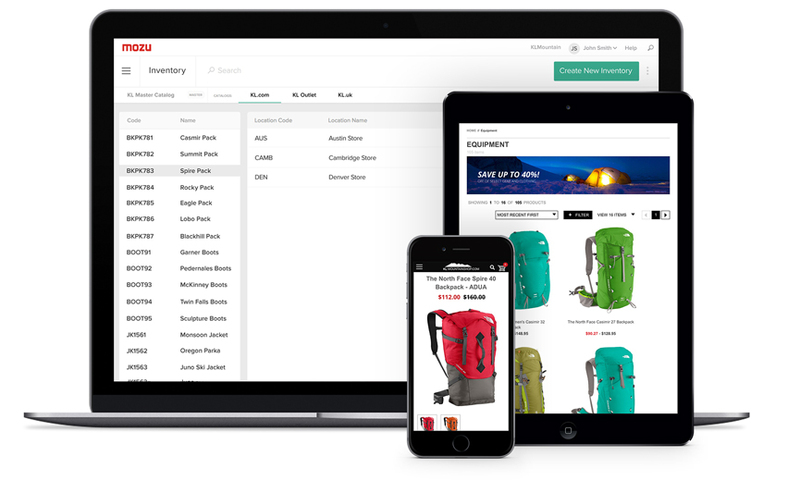 Using Mozu’s centralized catalog and inventory management system, you can easily manage any number of catalogs across brick and mortar locations as well as branded websites. With our unified Admin console, you can keep inventory levels up-to-date for a premier omnichannel customer experience. Our tools are simple, straightforward and intuitive for the non-technical user. This empowers your marketing team to keep your website and mobile presence evolving, always offering new reasons to keep consumers engaged. Seasonal specials, new promotions, flash sales—marketers can act quickly to decrease your time to market and drive new sales. We thrive on teamwork in the world of commerce, which has led to multiple victories with businesses in the sporting goods industry. Contact us today and see how Mozu can help your business win big.